Rich Wilson today crossed the finish line of the Vendée Globe solo round the world yacht race after 107 days, 48 minutes and 18 seconds at sea. Over one million people in 79 countries around the world were engaged with sitesALIVE! during the program, including FasTracKids! Stay tuned for photos and videos from our adventure at sea! Set Sail for a Live Learning Adventure! 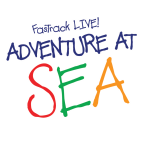 FasTracKids is offering the first and only LIVE, interactive special event program for early learners! Adventure meets education in the classroom as your child follows the journey of the Great American IV boat as it participates in the 2016-17 Vendée Globe race. Your child will have an opportunity to interact and follow a real-life hero, Skipper Rich Wilson, as he sails around the world in this real life adventure at sea. The Vendée Globe Race is a solo, non-stop, around-the-world sailing race that measures 28,000 miles and lasts around 100 days at sea. The Great American IV is one of only 60 boats to compete in this race. Skipper Rich Wilson, a 66-year-old educator and outstanding sailor is the oldest competitor in the race. And though Rich has the added challenge of managing his asthma, he has already completed the most difficult, round-the-world solo sailing races in the world. Join him as he attempts to do this again. FasTracKids’ partnership with Rich’s sitesALIVE! program allows us to offer curriculum that engages children as they explore the real world. Children will learn about the ocean, weather, geography, nutrition, health, achieving goals and other Vendée Globe race related topics. The FasTrack LIVE! Adventures at Sea program will follow Rich as he competes in the race, with classes submitting questions, receiving updates about his progress and learning through Rich’s incredible journey. Send your child around the world in our classroom at sea! Contact your local participating center for details!